Good News for All Govt & Bank Job Aspirants No Interview Will held For Junior Level Group C & D Post. 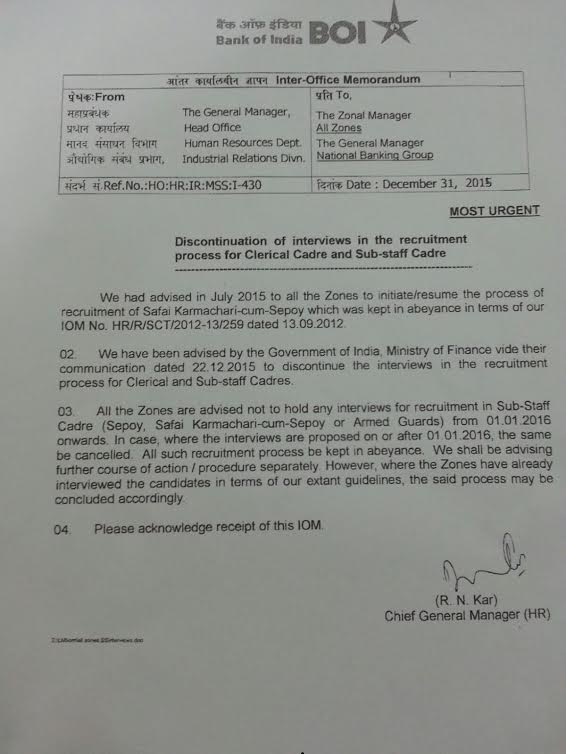 Govt of India has Decided no interview will taken for junior level clerk and various group c & D posts. Only written exam will held. Candidates will be selected on the basis of only written test. Govt of india has asked all govt Job recruits and also psu banks to withheld interview process for junior level posts. And you can also expect there are no interview for SBI Assistant & RBI Assistant. Wait for their Notification SBI Clerk Notification Will Out Soon and RBI Assistant Notification will Come On June 2016. 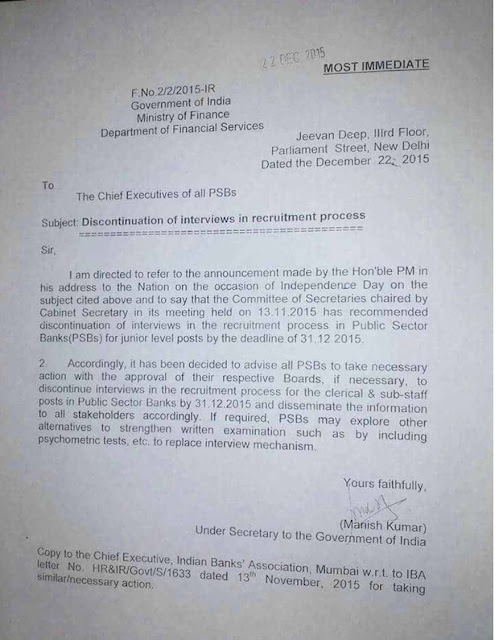 No Interview FOR Bank Clerical Jobs. Labels: No Interview for Group C & D Jobs 2016.